Welcome to my itsy-bitsy corner of the web! Before we get started on today’s post, I just want to thank you all for 245 followers! It means a whole lot! So today I am going to talk about this awesome book I read. Its called; Darius The Great is Not Okay. IT IS SO SWEET AND JUST O MI GOODNESS. It is such an amazing book. 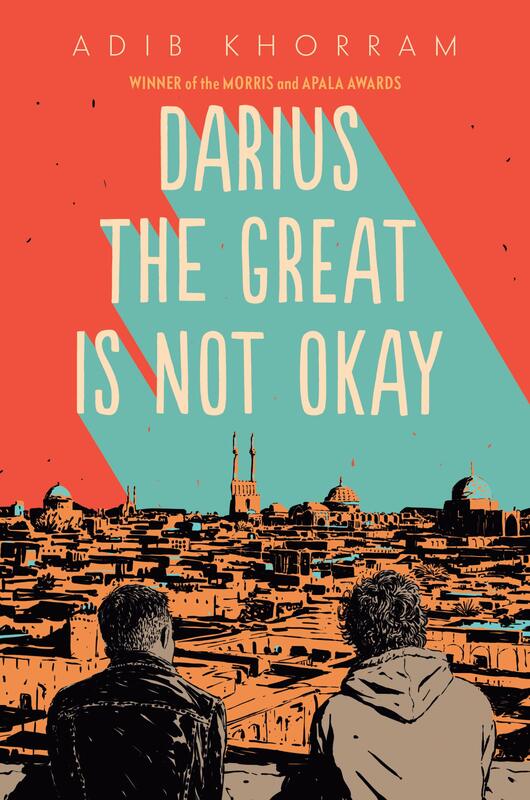 The first thing you should know about Darius the Great is Not Okay is that it actually made me cry. This book is a touching story about friendship, family, and learning that being not okay is okay. The characters, the settings, the feels. I felt as if I was right there with Darius. Darius- a smol tea loving boy that struggles with depression and anxiety. I loved Darius so much, he is such a relatable boyo and I just want to give him a whole bunch of hugs. His personality is just incredible and HE TALKS ABOUT TEA ALL THE TIME ITS SO CUTE ADSKSJS. laleh- she is just such a sweet little sister that needs cookies. SHES SO CUTE SUCH A GOOD LIL SISTEER. I think she is so cute and has such a cute personality. the writing style is SO A M A Z I N G! I mean I literally felt every feeling and emotion (did I tell you that I cried?) THE AUTHOR IS SUCH A GOOD WRITER I LOVE HIS STYLE SO MUCH. ITs ASHJDIJKDK I cannot even explain it JUST READ THE BOOK PLEASE. the only thing I really didn’t like was the beginning. I almost didn’t read the book. The beginning makes the book seem horrible but PLEASE KEEP ON READING BECAUSE IT TURNS OUT REALLY GOOD!! i also did not like the bullies that picked on my smol boyo Darius IF YOU WANNA HURT DARIUS FITE ME FIRST!! THIS BOOK WAS SO CUTE AND BEAUTIFUL PLEASE READ IT!! Yes I loved this book so much and I really think you will too! Have you read this book before (IF NOT GO READ IT :)) What have you read recently? October was an amazing (stressful), fun (painful) and a nice warm month! I love October (BECAUSE ITS MY BIRTHDAY MONTH YEEEEEEEEEEEEEEET) because its such a sweet month (PERFECT FOR READING AND DRAWING HAMILTON FANART) the leaves just fall and fill the autumn air. AND THE MONTH OF WRITING WILL BEGIN TOMORROW!! i loved my birthday! it was so cute and so much fun! yup i have a “small” obsession. Its a really great series I really recommend! I recently got a penpal AND I LOVE IT! surviving NaNoWriMo would be a blessing. because sadly I AM RUNNING OUT OF TIME DURING NANO! october was great and I am looking forward to November! Did you enjoy today’s post? What was your favorite one? What do you love to do?